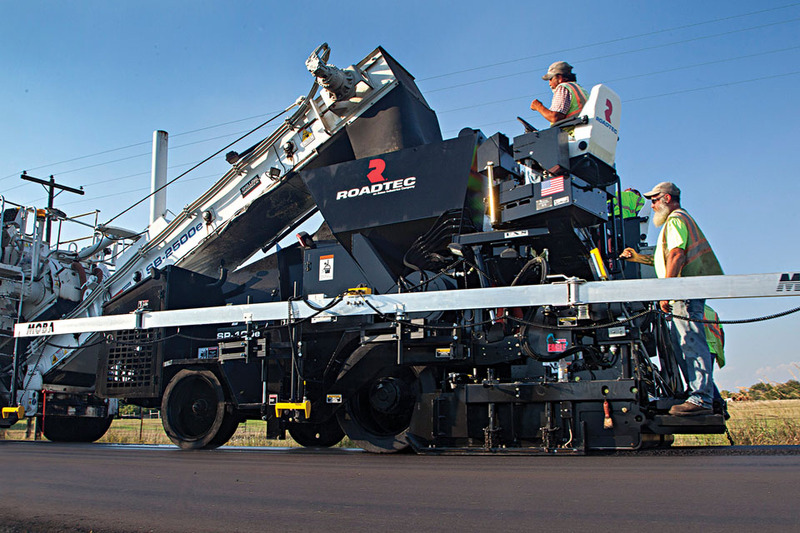 The Roadtec Paver and Roadtec Shuttle Buggy combine for the smooth paving of roads. Their dream began in a building on Jerome Avenue in Chattanooga that had been in bankruptcy. The partners purchased the building and launched their new business with a vision of applying creative thinking and state-of-the-art technology to the road building industry. Originally supplying the United States infrastructure industry with equipment for the production of hot mix asphalts for roads, Astec would quickly expand its reach. After some strategic acquisitions, Astec’s reach included supplying companies in the aggregate, mining, and energy industries with the most innovative, productive, and reliable equipment on the market. The founders’ goal was to design and build the finest equipment coupled with unparalleled customer service. That goal has been realized. 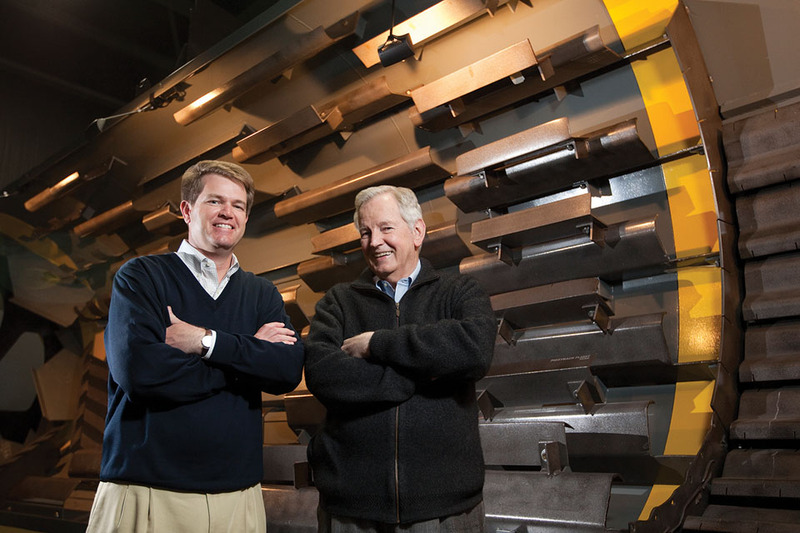 Don Brock (right) followed by Ben Brock (left), father and son, have led Astec Industries from 1972 to present. Today Astec Industries, Inc. operates over 20 manufacturing plants worldwide manufacturing more than 230 products ranging from rock crushing and screening operations to hot mix asphalt (HMA) facilities; concrete plants; water, gas and oil drilling rigs; geothermal drills; milling machines; asphalt pavers; material transfer vehicles; and wood processing equipment. No other company in the world competes with Astec in all or even most of its product lines. Astec’s innovative products have led to a continuous stream of new patents and are in ever-increasing demand. The Astec companies have become leaders in their respective markets by giving Astec customers the means to be more productive and profitable. The more than 1,600 Astec employees in Chattanooga at Astec, Inc., Roadtec, and Heatec are part of over 4,200 Astec team members worldwide, and they take great pride in offering the world’s most advanced, productive, durable, and environmentally friendly products. Their Core Values ensure that they provide the customers who look to them with confidence with the service and support that has made them an industry leader. 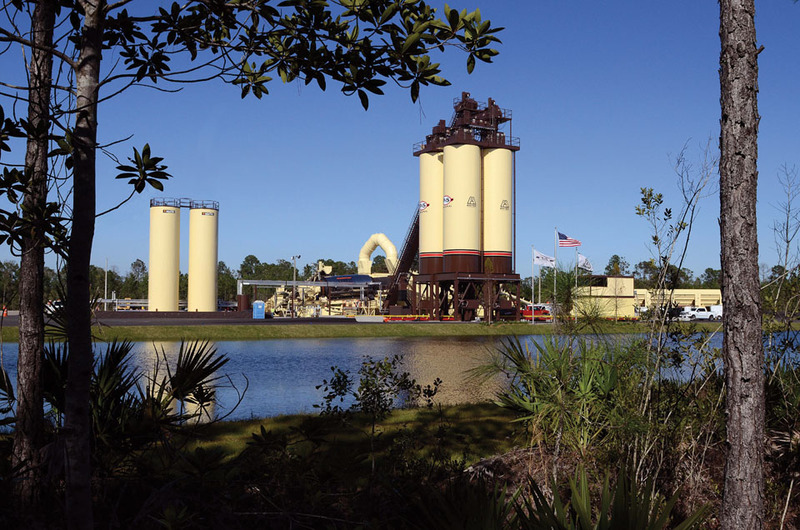 ▲ P&S Paving in Daytona Beach, Florida has the latest in asphalt plant innovations by Astec. Ben Brock was selected by the Astec Industries Board of Directors as the President and CEO of the corporation, and he assumed the position on January 1, 2014 with 24 years experience in various Astec companies. Experience and continuity are two of the competitive advantages of the company.